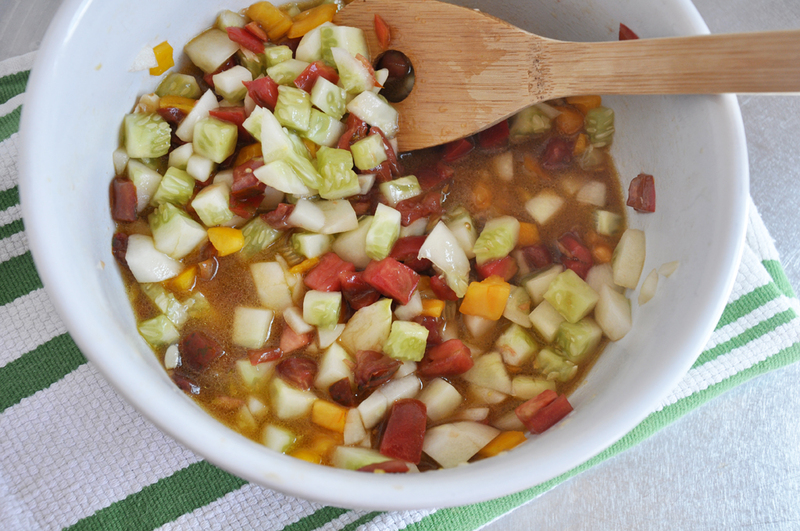 Toss the cucumbers, tomatoes and garlic with 1/4 cup EVOO, sherry vinegar, salt and sugar. Let macerate for at least 15 minutes. Meanwhile, heat the remaining 2 cups of EVOO over medium-low heat. Add the thyme and let infuse 15 minutes. Strain the EVOO and put back on the heat over medium until it reaches 350 degrees F.
Drop the croutons in the heated EVOO in batches and fry until golden. Remove to a paper towel-lined cookie sheet to drain and cool. 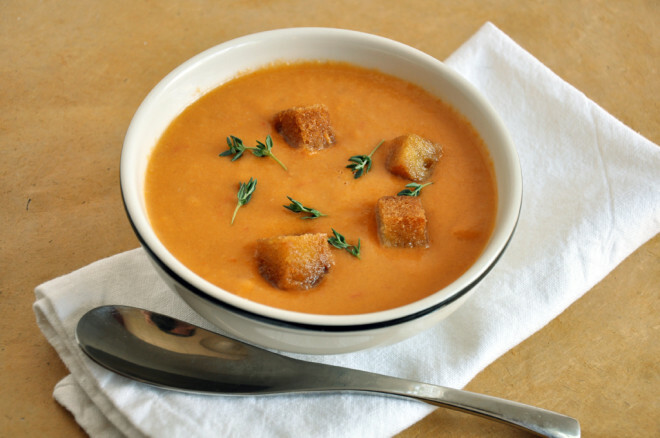 Puree the vegetable mixture in a food processor or blender for 5 minutes. You can serve immediately, topped with croutons, or refrigerate for 30-60 minutes for a colder soup.